KW is Working Power (also called Actual Power or Active Power or Real Power). It is the power that actually powers the equipment and performs useful work. 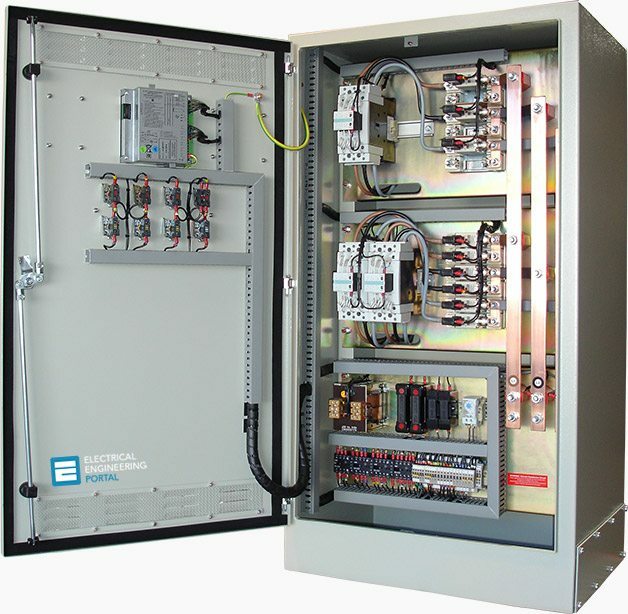 It is the power that magnetic equipment (transformer, motor and relay) needs to produce the magnetizing flux. KVA is Apparent Power. It is the “vectorial summation” of KVAR and KW. Let’s look at a simple analogy in order to better understand these terms…. Let’s say you are at the ballpark and it is a really hot day. You order up a mug of your favorite brewsky. The thirst-quenching portion of your beer is represented by KW (Figure 1). Unfortunately, life isn’t perfect. Along with your ale comes a little bit of foam. (And let’s face it…that foam just doesn’t quench your thirst.) This foam is represented by KVAR. 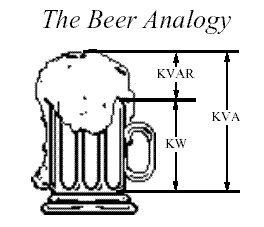 The total contents of your mug, KVA, is this summation of KW (the beer) and KVAR (the foam). So, now that we understand some basic terms, we are ready to learn about power factor! What is the difference between cosine and power factor ? Loss reduction = 1- (0.65^2/1^2) ?, who explain? Then it was given that KVA is 250, KW is 163, how come? ain’t 1 HP = 746 watt ??? In vector form this is correct. Hi Can you please forward me the 13 pages of the power factor,because I am been blocked from our administrator.